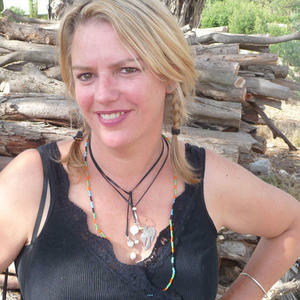 Rebecca Barnard has sung on recordings for Paul Kelly, Tim Rogers and Stephen Cummings as well as releasing three EPs and 2 albums with Rebecca’s Empire. The band featured for 3 years in a row in the Triple J Hottest 100, while Barnard herself appeared on the afternoon show with a cooking segment called Pot O Rock. In 2006 Barnard released her solo album, Fortified, on her own record label. She regularly appears on SBS’s Rockwiz and ABC’s Spicks and Specks as well as ABC radio 774 co-hosting with Derek Guille and was a regular on Triple R’s The Word. She is a founding member of the Mirabel Foundation, which works to assist children who have been orphaned and abandoned due to parental drug use. She conducts songwriting workshops with intellectually disabled adults in Ballarat (who have recently formed a band, the Funky Turtles) and at the Footscray Community Arts Centre with a Sudanese Choir. She released her new album Everlasting in June of 2010.